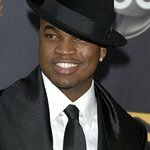 The Compound Foundation was created by R&B artist Ne-Yo in 2007, and is anon-profit organization committed to increasing awareness about the status of those in the child welfare system. The foundation supports and partners with residential care facilities and independent group homes through programs aimed at teaching entrepreneurship and life skills that will empower youth to become productive, successful, and independent adults. Google trends for "Compound Foundation"